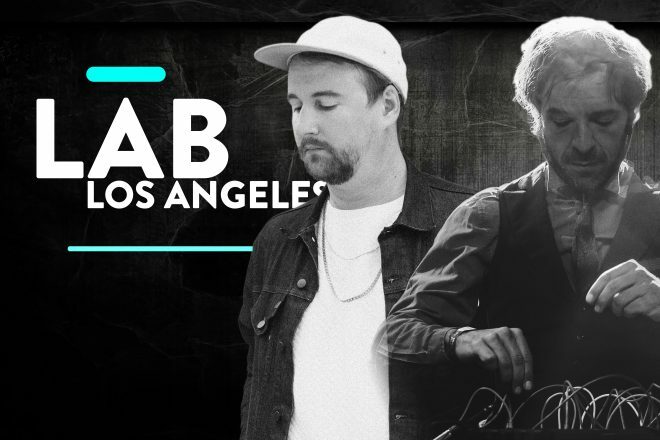 The Lab LA is Mixmag and WAV's weekly live stream and post-work unwind, powered by Void Acoustics, where we showcase the finest DJs direct from our downtown Los Angeles office. This Thursday, we're celebrating the 'Vapor City' Anniversary with Machinedrum and Daedelus in The Lab LA! North Carolina native Travis Stewart is Machinedrum, who has been operating under a variety of monikers and collaborations and releasing since 1999. Five years ago, he brought what is arguably his boldest release to life with 'Vapor City' on Ninja Tune, which launched as a fully-flushed out concept with an art exhibit in New York City and a digital citizenship program. Since the release of 'Vapor City', Machindrum has moved from New York to Los Angeles and released 'Human Energy', a record that “reflects a period of great change in my life." This Thursday, Machinedrum brings a celebration into The Lab LA in honor of the five year anniversary of 'Vapor City' along with Daedelus. Alfred Darlington is Daedelus, a Los Angeles-based producer that has seen his nearly two decade long career see major releases on the likes of Ninja Tune, Anticon and Brainfeeder. The last time Daedelus descended upon The Lab LA, he celebrated the release of his first self-release on his own Magical Properties with 'Labyrinths'. Subscribe to Mixmag TV and follow Mixmag on Facebook to watch Machinedrum and Daedelus in The Lab LA on Thursday at 8PM PST.